This world-wide all-volunteer community has worked together to make the Joomla CMS one of the most popular Open Source (and free) Content Management Systems, that is used to power millions of websites, big and small. 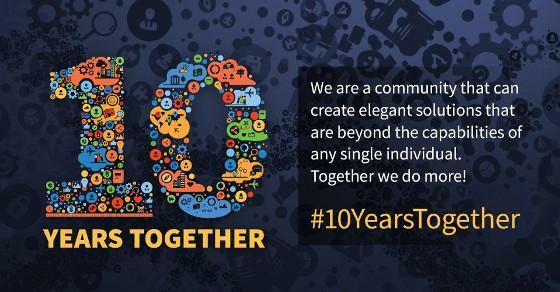 Read more: 10 Years of Joomla! Official Support for Joomla! 2.5 ends on the 31st of December 2014. This means that no bug fixes, features, or security updates will be provided for the 2.5 series after that End of Support (EOS) date. The first release of Joomla! 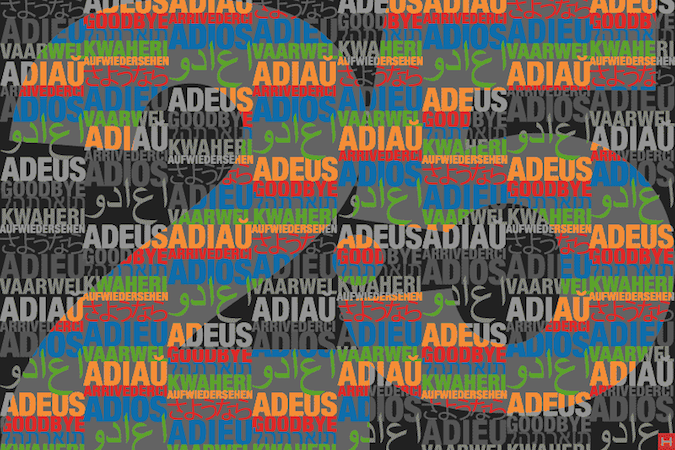 2.5 was in January 2012, and it was the third minor release in a series that started with Joomla! 1.6 in January 2011. It is important to note that Joomla! 2.5 followed onto, and replaced Joomla! 1.6 and 1.7, and there is therefore no secure version of 1.6 or 1.7. If your are still using one of these version of Joomla! your need to upgrade (at least to 2.5.28) without delay. Do take note of the migration tips and do make a backup of your web site before doing so. After the EOS date for 2.5, your web site will continue to work, but you need to start to planning now to upgrade/migrate your 2.5 websites to Joomla! 3.x. Joomla! 3 is a secure and stable release that had its first release in September 2012. The Joomla 3.x series is expected to continue being supported at least until September 2016 according to the new Development Strategy. 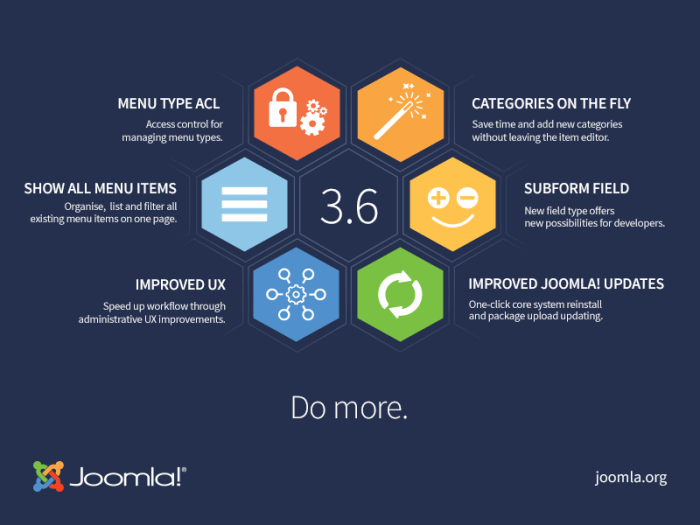 This new Joomla! Development Strategy was adopted in March 2014, and replaced the previous concept of Short Term (STS), and Long Term Support (LTS) Releases. You therefore do not have to wait until 3.5 to upgrade your site from 2.5, but can safely plan to do so now. See the Improved Release Cycle FAQ for more details. In line with the new Development Strategy, the Production Leadership Team (PLT) aims to maintain backward compatibility within the Joomla 3 series (3.0.x, 3.1.x, 3.2.x, 3.3.x, 3.4.x, etc. ), which means that upgrades between the these major versions would normally only require a one-click-upgrade (in addition to keeping all installed extensions up to date). Upgrading from 2.5 to 3.x is (in many cases) a simple process, but for bigger web sites, or sites with particular extensions installed, extra care needs to be taken. You can also read this article by Jennifer Gress, in the Joomla! Community Magazine: Why Migrate? And Then...How? Always remember to create a working backup of your site before attempting any update, upgrade, or migration. Happy 9th Birthday to Joomla!